Unfortunately, there are more critical components required to pass the Florida Teacher Certification Examinations. Does your study guide for the FTCE include help in how to apply the test content to actual exam questions? They’re bad test takers because they don’t have any effective test taking skills! Logic is the direct product of using experience, wisdom and inferences to make appropriate conclusions about a given situation. Logic is a higher order thinking skill like analysis and synthesis. A passing score requires more than mere memorization of facts and pieces of data. Learning how to apply the information you know to actual exam questions is critical. Lack of preparation manuals are not why people fail. It’s not their fault. — Test takers who chronically fail this exam over and over have to leave the education field. A large portion of them lack test taking skills like logic and making inferences. For successful FTCE study and to develop test taking skills you first need to understand the education system you went through in high school and college. Your academic success was mainly based on memorization of information and regurgitating it on quizzes. The education system you and I went through emphasized memorization and taught little or no higher order thinking skills. – That’s even if you’re already at the graduate school level! While this is slowing changing, the ‘information age’ is only a very development. However, our modern workplace is requiring us more and more to have higher order thinking skills and de-emphasize the need for housing thousands of facts in our heads. Unfortunately, your Florida teacher certification study guides need to catch up because the Florida Teacher Certification Examinations is up-to-date. It measures the skills and competencies you need to be effective as a teacher in a modern classroom. This assessment gauges how well you’ll prepare your students for this information age. It’s not enough to merely have facts and pieces of information memorized to be successful on this assessment, the exam makers expect from you have the ability to apply this information and make inferences. Beware that most FTCE guides do not include tutorials or practice exams that teach these necessary skills you need to succeed. In fact, many test questions will often outright ask for the reader to draw logical inferences and conclusions from the reading passage. Focus on the reading passage’s purpose: Is it well-stated, or is it implied? Focus on the key questions: Are the questions objectively stated? Are the answered? Look at the evidence contained in the passage: Is the evidence relevant to the passage? Is it informative? Is it biased according to the author’s views? Focus on the assumptions that the passage is making: Are they valid according to the evidence? Are they reasonable? Examine the passage’s concepts: Are they clear and relevant? Are they justifiable? Examine the passage point of view: Is it direct or indirect? Does it offer you any alternatives? Focus on the implications of the passage: Do you understand the consequences? You see? When doing practice questions in your preparation guide include logical skills and applying the information using inferences as you’ll need them to pass in the testing center. If your study materials are going to make you pass, you need to be proactive. To get the most out of your preparation booklets, you need to constantly use your higher order thinking skills and think how you would apply this information to other situations. Not only will that give you the test taking skills you need to pass the FTCE test, this practice will also aid in retaining the core bodies of information you’re required to know. 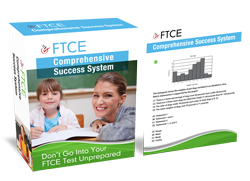 Go to: FTCE Practice Test Questions, Preparation Help And Flashcards now.